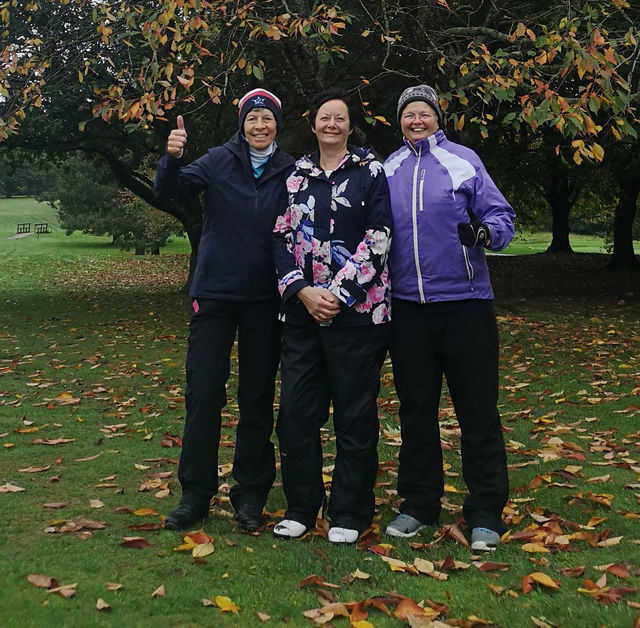 Well done to our very own Kingsdown ladies Sue Dix and Viv Monument who finished quarter-finalists in The Daily Mail Foursomes Final at St Pierre last weekend. Kingsdown were drawn first and had to play the ladies from the Scottish club of Canmore. Viv then had the honour of being the first lady to tee-off in the 2018 competition. The match was very tight and after being 2 up Sue and Viv found themselves all square on the 18th. After a great pitch-shot to the green by Sue, Viv sank a long putt which sealed their place in the quarter finals. They both agreed that Denise Adlington – who had arrived to support them at the crucial moment - was just the lift they had needed to see them through to the next round. In the quarter finals they played the ladies from Hooton Golf Club. It proved to be a tough match in difficult conditions as it rained all day. The match was fairly close until the back 9 where they found themselves 2 down. The ladies from Liverpool played extremely well and went on to win 4 and 3. As it turned out, the Hooton ladies were tough opposition for everyone as they had already beaten the favourites and went on to beat the lowest handicappers who played off 4 and 1. Eventually, they became the runners-up in the competition. 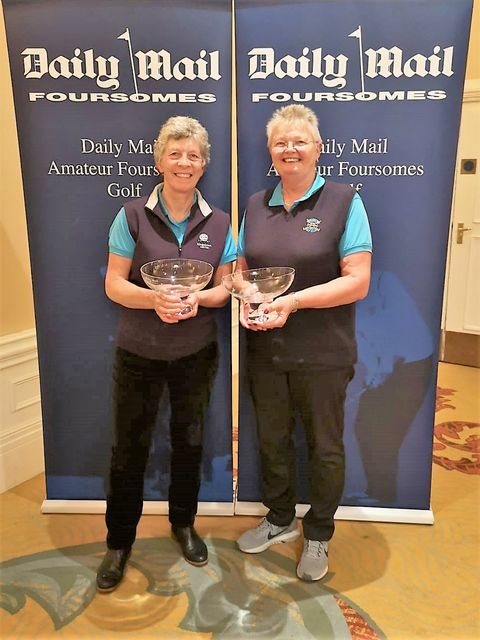 Despite being beaten in the quarter finals, Sue and Viv were delighted to get to the last 8 of The Daily Mail Foursomes, a great amateur event with more than 190,000 players competing. Both Sue and Viv would like to thank all the Ladies for their support and good wishes, it meant so much to them and they were extremely proud to represent Kingsdown Golf Club. Well done from everyone at Kingsdown! Viv Monument & Sue Dix with their winning trophies..
Viv and Sue with Denise Adlington (in the middle) ..